How do you know when brake fluid is bad? 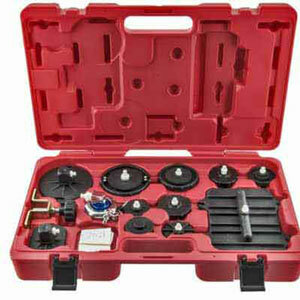 There is only one way to know and that is by testing with BrakeStrip. Brake fluid manufacturers and experts have determined that you cannot tell brake fluid condition by color. This is the most common reason “uninformed” technicians recommend brake fluid replacement. Time and mileage is also a poor indicator because many factors effect brake fluid condition that time and mileage cannot account for. Moisture is not a good reason either. The moisture myth has been replaced with BrakeStrip fact. What’s the big deal about copper? Government research confirmed that copper can form deposits around the sealing surfaces of ABS valves, which means your car may take longer to stop in a panic situation. Other research finds that copper levels in the brake fluid are the best indicators that the fluid’s corrosion inhibitors are losing their punch and major corrosion is just around the corner. Copper provides a verifiable means of determining brake fluid condition. Copper is used in the brake lines of the brake system. That is the primary source for copper in the brake fluid. Which is a more effective way to test brake fluid, moisture or copper? An independent study* reveals copper testing is 35 times more effective than moisture testing. The study tested brake fluid in 469 vehicles for boiling point and copper levels. Copper testing discovered brake fluid replacement was required for 208 of the 469 vehicles tested. Only six vehicles had a boiling point below the minimum wet DOT 3 boiling point for new brake fluid. 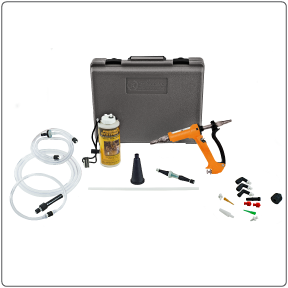 In the bluntest terms, using any boiling point or moisture tester to sell a brake fluid exchange is a waste of your valuable time and resources. Let’s use the above test results as an example. A typical BrakeStrip System user could realize as much as $8,320 in profits selling 100 brake fluid exchange services to those 208 potential customers. (average 50% close rate). Now that’s a great return! How can BrakeStrip increase service profits? Every tube of BrakeStrips holds the key to $1,000’s in Brake Flush Profits and Millions of Vehicles Require the Service Now! Not only will the BrakeStrip system give you additional services to sell your existing customers, but it will bring in hundreds of new customers as you promote this virtually untapped service. Many of our customers offer “free brake fluid testing” and report bringing hundreds of new vehicles into their service facilities. 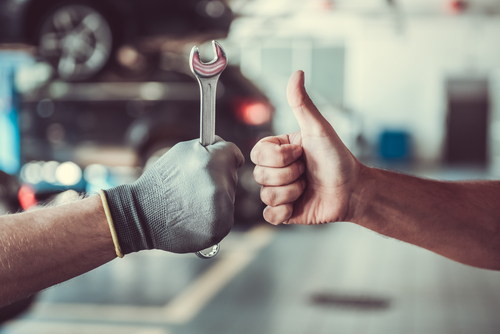 If you also perform a courtesy inspection, you are likely to find many other legitimate services you can perform on those vehicles, in addition to the $ thousands you’ll make with brake fluid exchange. How do I sell a brake fluid exchange? What happens if I don’t change the brake fluid? 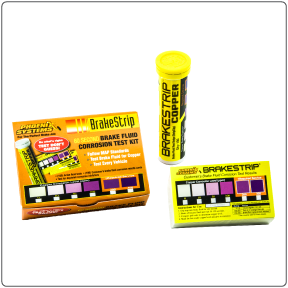 Inform the customer about the BrakeStrip visual test and show them the test results, give them the Customer color card and let them determine the results. It is very powerful when they see the “purple proof” and make the determination themselves. It is also great if their vehicle passes the test because they will recognize you didn’t try to sell them an unnecessary service and they’ll be ready when it does fail. Look at the simple facts, if copper testing identifies 35 times a many vehicles that require a brake fluid replacement, then 35 times as many vehicles will have safer brake fluid, if brake fluid service is performed. If safety is a concern, the copper testing is the clear answer. Why can’t I use the color of brake fluid to sell a service? There is no science or standard to justify brake fluid replacement based on color or it “looks dirty”. Brake fluid manufacturers and industry experts have determined that you cannot tell brake fluid condition by color. 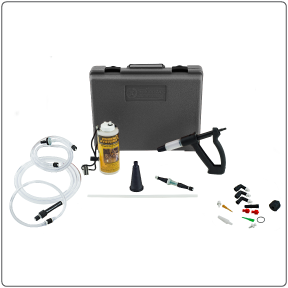 Brake fluid can quickly discolor due to assembly lubricants and dyes from the hoses. One common tactic is to show a sample of new fluid compared to a sample of your fluid. Again, there is no basis or foundation that the “color” means the fluid should be replaced. The only justifiable reason to suggest replacement based on color is if the standard brake fluid has been replaced the wrong fluid and the fluid is red or purple in color. Why can’t I just use time or mileage to sell a service? The type of driving, like highway or “stop-and-go”, hides the secrets that time or mileage won’t discover. And GM, Ford and Chrysler don’t have a recommendation for brake fluid service. If the vehicle has O.E. (BMW, Mercedes…) brake fluid recommended maintenance based on time/mileage, you can offer brake fluid replacement according to the O.E. parameters. Many shops and dealerships still use Brake Strip because it will help clarify service within maintenance parameters. I just serviced the brake fluid in this vehicle a month ago, why did it fail another BrakeStrip test? BrakeStrip never gives a false reading. It tests for copper so there is no way to “fake” the test. The answer is very simple. There is still copper in the brake fluid. The problem is the type of brake flush technique that was performed. If you use vacuum, gravity or pedal flushing, you probably won’t be able to properly flush the contamination out of the brake system. How much should I charge for brake fluid exchange service? I dipped BrakeStrip in water and nothing happened, why? Believe it or not this is a common question. We have three answers. How many brake fluid copper tests have been performed? We estimate that approximately 46 million BrakeStrip brake fluid copper test have been performed. What do the “string operations” use to determine if brake fluid service was performed? It has been reported that BrakeStrip is also being used by state regulators and “sting operations” to make sure brake fluid services are being properly performed. Are there any flaws with BrakeStrip copper testing technology? We are not sure if this is considered a flaw, but some DOT 4 brake fluids take longer to react. It may take several minutes for the full color reaction to take place. The test is accurate, so if you don’t provide a good brake fluid exchange the test will reveal it later.